I have learned how to, work in Photo Shop, Adobe Premier Pro, Fireworks and many other things. Using the camera, filming different sites. Going around seeing many other different sites to film at. Working well with others, learning how to get alng and to help eachother out when needed. In News you have alot of responsibilities on what you can and can not put in the news and in public. According to the First Amendment, Religion and freedom of speech. You can't just say what ever you want. You have to make sure it's right and is Legal. If not you could be getting in trouble with the law. For instance, you cannot make treats about the presedent or talk bad about them in general on live Television. My Goals for next year include working more with getting all my stuff done and adding some extra stuff to make things interesting than being just plain old boring. I want to get better and try to be the best that i can with anything that i do thank to knowing Mrs. Henderson will always help me out when i need it and show me new things along the way. Next year i want to be the top in every class of mine and try and improve everything i do even if it is, just the little things that counts. 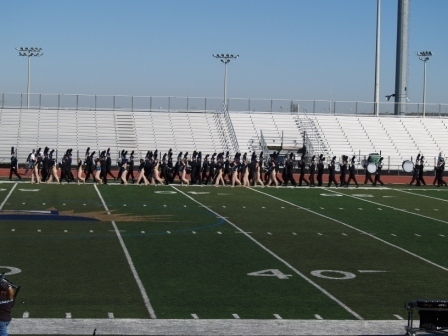 Character at Wylie East was shown by the whole School Faculty and Students. When Kim Miller was first diagnosed with Ovarian Cancer. Everyone was so supportive in raising money and trying to help her through it all. Guys were shaving there heads for her. Getting Kims name shaved into their hair. Everyone of us raised money for her, by wearing Jeans, Tickets to her Rally. Everything that everyone did at our school that day, had showed character to a very sick student of ours. While working with the Wylie East News Staff i have learned that you can meet new people if you try. Working together can be a great way to learn to share things, and to work with one another without arguing. The best Bits that i have created so far in my short time of being in the Wylie East Blue-i News Team. When working on this i used many techniques that i haven't ever used before. Many things have been added to them, and were tweeked with. Many extravagant things were changed. Such as fading in, Slides, as well as Pictures with videos. Was also another favorite of mine, All the different angle shots that were added in. Pictures to jazz and spice everything up as i was editing it. This Bit was interviewing 3 different people, but all conjoined into one news bit. Different places but talking about the same topic, featuring Alex, His mom, and His instructor for ROTC. Trying to learn new things isn't so easy. At times it can get extremely hard trying to be nice, come up with new bit ideas and helping everyone around you all at the same time. There are days where things come to you easy such as good ideas. Other days, it's harder than it seems figuring things out, especially when you haven't had such a good day. When getting out of my comfort zone it's hard going around campus asking random people questions, and pulling them out of class is a bit nerv racking. Putting everything together in Adobe Premiere Pro was very successful. Adding in new things, changing things up adding effect, trying to make my bit the best that i could. Fading in, giving it a little more effect to it. Making everything come together and look magnificent. No matter how much time it takes, they have to be at least decent. This year in Blue- i, I have learned so much and now have a great attitude towards everything that i do and say. Mrs. Henderson has taught me so much in this short period of time and i hope it continues to get better. She's always been there for me when i need help or anything and i think it's safe to say that i do look up to her, and she is like my Role Model. Being in Computer Science is what has gotten me to know and learn from her so well. Going on field trips with the news group to Channel 8 News, and to Houston for Code Wars. She has made my time that i have spent here at Wylie East, and amazing time and i thank her enough for that. Clubs that i do out side of my school hours are Computer Science Club (Programing), Band, Babysitting, Cleaning around the house and Cooking. Staying after school everyday of the week is hard when you're trying to pass all of your classes and to get you homework and projects done. Although, it is well worth it. In Computer Science there's alot of studying required to program anything and everything, being the Vice President isn't always easy. Many events after school and out of town such as Code Wars. In band we have to practice all the time 24/7 so that were good and to make our band one of the top in the state. During Marching Season we have to meet up here at the school at 7 AM. Every morning until 8:45. Which means no time for tutoring or studying before school. After school if there's no after school things to do. I go home and help my Mom babysit and clean around the house include cooking. I guess you could say, i have a pretty busy life running around all of the time.